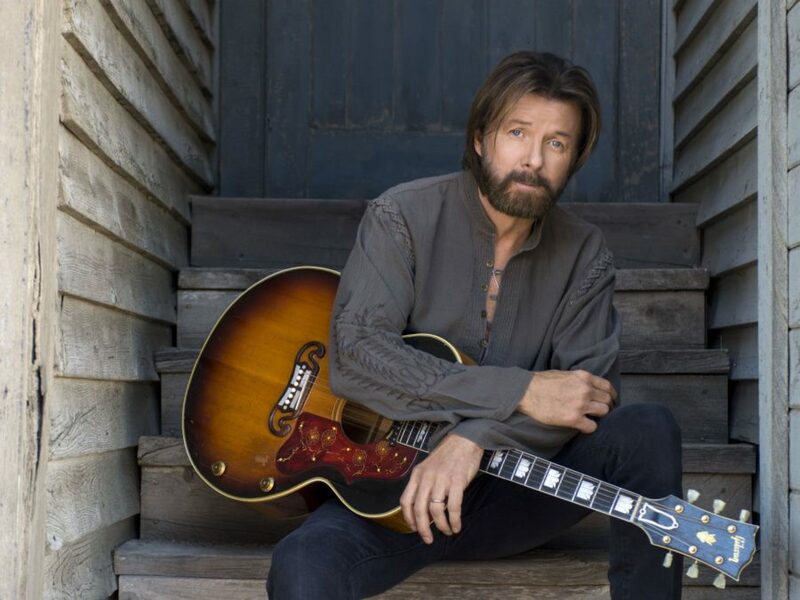 Ronnie Dunn's new album, Tattooed Heart, comes out Nov. 11. Joe Arndt, Courtesy of the artist. Country music has long had a reputation for speaking to a largely adult audience about largely adult concerns. But that changed this decade: Taylor Swift, Hunter Hayes and Kelsea Ballerini built fan bases of their teenaged peers, Florida Georgia Line and Thomas Rhett leaned hard on beat-driven, rhythmic pop trends and Sam Hunt and Maren Morris brought distinctly millennial tones of voice to the country airwaves. It’s left to country’s veteran performers to figure out how to reposition themselves in this radically altered landscape. This is the context in which Ronnie Dunn has pursued his solo career after wrapping a good, long run with one of the most successful country acts of the ’90s and early ’00s, Brooks & Dunn. When Dunn was staring down his 60th birthday a few years back, he owned up to harboring age-defying aspirations. “I’m still out there jumping around and playing with a country-rock band and getting tattoos and trying to act 22,” he self-deprecatingly told one interviewer. Dunn puts his seasoned perspective to use in his performances, striving for expressive clarity with his robust vocal instrument and accentuating its toughened twang, limber vibrato, cascading runs and cunningly bent notes. The ease with which he moves from gospel ardor to a wistful softening of his vocal attack in the sophisticated R&B-pop slow burner “Love Like That Again,” one of a handful of originals on the album, conveys a mature appreciation of shared sensual pleasure. The album’s doo-wop-reviving title track presents an interesting paradox. It’s a cover of a song from Ariana Grande’s debut album and mostly stays faithful to the original arrangement with cooing backup singers, sweetening strings and a minimalist drum loop. But when Dunn sings, “I wanna say we’re goin’ steady / Like it’s 1954,” it signifies something very different than it did coming from the then-barely-past-her-teens pop star. Dunn’s version — delivered by someone who was, in fact, born in 1953 — has a nostalgic melancholy that shares more in common with his country predecessor Ronnie Milsap’s excursions into retro innocence. Most of the tracks here were produced by Rascal Flatts’ Jay DeMarcus, who gently updated Dunn’s sound with glassy, programmed textures, modest beats and dynamics that surge from broody verses into full-force hooks. The production approach has the effect of putting Dunn in dialogue with youthful country sounds of the moment from a comfortable remove. And then there’s “Young Buck,” a song addressed to a nearly grown, small-town rabble-rouser. “You’re the heartbeat of this little bitty town,” Dunn proclaims, urging the kid to spend his youthful stamina well. You can hear Dunn striking a reflective posture toward country’s generational shifts, too, and carving out a satisfying new role for himself.